The northern Bulgarian city of Veliko Tarnovo is set to start the partial archaeological restoration of the Trapesitsa Hill Fortress, which together with the Tsarevets Hill is one of the two fortresses of the inner city acropolis of Tarnovgrad, the capital of the Second Bulgarian Empire (1185-1396 AD), with funding from the government of Azerbaijan in a controversial project. The work on the restoration of the archaeological structures on the Trapesitsa Hill is to begin in the second half of August 2015, Veliko Tarnovo Municipality has announced. It is supposed to be completed before October 26, 2015, when Veliko Tarnovo and all of Bulgaria will celebrate the 830th anniversary since the Uprising of Tsar Asen I and Tsar Petar IV, which restored the Bulgarian state in 1185 AD, after it had been conquered by the Byzantine Empire in 1018 AD. The partial archaeological restoration of the Trapesitsa Hill Fortress has become a criticized and controversial project precisely because it will be funded with EUR 1.2 million by the Heydar Aliyev Foundation of the government of Azerbaijan. At the same time, however, the Azerbaijani government funding has been warmly welcomed by the administration of Veliko Tarnovo Mayor Daniel Panov. In its media release, Veliko Tarnovo Municipality even states that “the funding became possible after the impressive presentation about the historical fortress which Mayor Daniel Panov gave before Azerbaijan’s President Ilham Aliyev" during the official meeting between Aliyev and the Bulgarian Prime Minister Boyko Borisov. Just several days before the signing of the contract for the Azerbaijani donation for the restoration of the archaeological structures on the Trapesitsa Hill in Bulgaria’s Veliko Tarnovo, the Bulgarian government refused to grant political asylum to Emin Ahmedbekov, a former political prisoner and opposition journalist from Azerbaijan, and his family, reports Bivol.bg, Bulgaria’s most respected investigative journalism site in recent years. The President of the Heydar Aliyev Foundation is Mehriban Aliyeva, the First Lady of Azerbaijan. The foundation has sponsored several projects in Western Europe including renovations at the Louvre Museum and the Palace of Versailles, an EUR 40,000 donation for stained-glass windows in France‘s Strasbourg Cathedral, and an EUR 50,000 donation for the reconstruction of the Berlin City Palace in Germany. 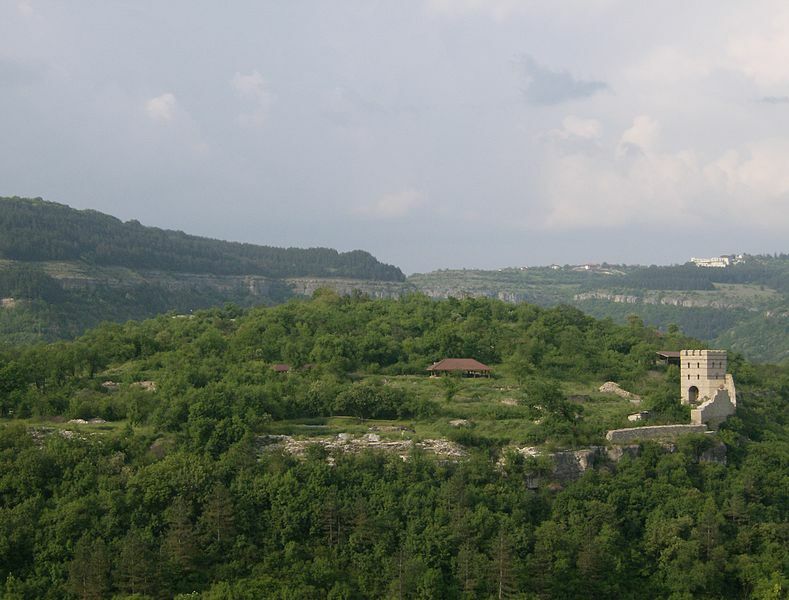 “With the realization of the project, Veliko Tarnovo will have a new and attractive cultural and museum preserve which will be accessible for the residents and guests of the city," states Veliko Tarnovo Municipality regarding the planned restoration of the Trapesitsa Hill Fortress with Azerbaijani funding. The Azerbaijani-funded project provides for the restoration of a 400-meter section of the western fortress wall of Trapesitsa; building a 700-meter alley linking a panoramic elevator with the reconstructed southwestern gate of Trapesitsa leading to the Tsarevets Hill Fortress; setting up a museum and visitor center displaying archaeological artifacts found during the excavations; restoring and displaying three churches with preserved fragments of medieval murals and frescoes; rehabilitation of the road leading to the Trapesitsa Hill.